Illinois has become the 18th state to allow children to possess and apply sunscreen at school, an important step in preventing skin cancer. The legislation known as SUNucate was introduced by Rep. John Connor and carried through the Senate by Sen. Tom Cullerton. It is designed to eliminate barriers that prohibit students from possessing and using over-the-counter sunscreen in school. Sunscreen often falls under broad reaching “medication bans” that require a physician’s note or prescription to utilize in school. Illinois is only the second state to allow students to wear sun-safe clothing, including hats, and the first to encourage sun-safe behavior in school curricula. “I am proud of my home state of Illinois for taking this great step in bringing awareness to skin cancer and ensuring that, from a young age, students know to apply sunscreen while outdoors is key to combating this epidemic,” said American Society for Dermatologic Surgery Association President Dr. Murad Alam. “Allowing children to use sun-protective clothing provides an additional layer of prevention, and teaching kids about how best to protect themselves from the sun will have a lifelong, positive influence. 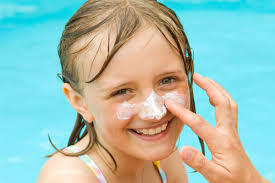 The need for such legislation arose after concerns were raised by dermatologists and reports in the national media about students being required to bring a note or prescription from a physician in order to possess or use sunscreen, which is classified as an over-the-counter drug by the U.S. Food and Drug Administration. The Centers for Disease Control and Prevention and the United States Preventive Services Task Force both believe that children should have access to sunscreen and other sun-protective measures in order to reduce the risk of skin cancer. The American Society for Dermatologic Surgery Association worked with the Illinois Dermatologic Society, Pediatric Sun Protection Foundation, Illinois State Medical Society and other coalition partners to advocate for the passage of this law. To learn more about SUNucate, visit asds.net/SUNucate. Teens Need More Sleep Hey brother, could you spare…a limb?